The world's first robot hotel, recognized as such by the Guinness Book of Records in 2015, has since discharged half of the staff's robots, reported Wall Street Journal this week. The 243 robots at Hotel Henn-Na ("foreign" in Japanese) apparently caused more problems than they had solved, according to human colleagues. "It is now easier that we do not often contact customers who ask for help with problems with robots," said a hotel employee at the American newspaper. (New window). For example, a customer claims to have been woken several times by the robotic assistant in his suite. In the middle of the night the machine asked him to "repeat his request", apparently responding to his snoring noises. Other visitors complained about the aging of the devices, such as the personal assistants in the rooms, who struggle to compete with Alexa or Siri to provide answers to requests that are more complicated than to turn off the lights. 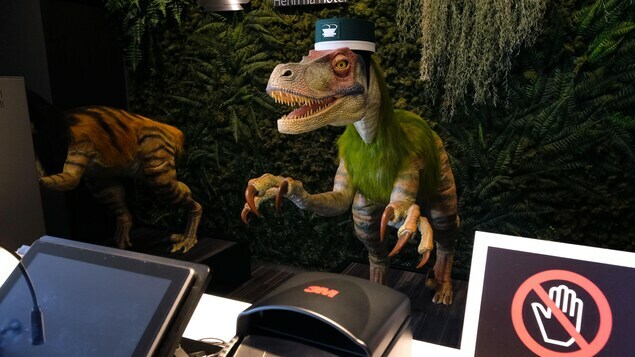 At the reception, robots with the appearance of velociraptors who greeted customers could not perform all their tasks alone, especially when the passports of foreign visitors had to be scanned. "When you use robots, you realize that there are places where they are not needed or that people simply suffer from," he said. Wall Street Journal the president of the company that owns the hotel, Hideo Sawada. The latter did not abandon the idea of ​​a fully manned robot hotel, but said that people are currently more efficient in many tasks.